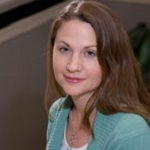 Pamela McCann, PhD, is an assistant professor at the USC Price School of Public Policy. She previously served as an assistant professor of public affairs at the University of Washington. Her research interests include U.S. political institutions, bureaucratic delegation, federalism, intergovernmental politics, legislative behavior, public policy, health policy, policy diffusion, and state and local politics. She examines the influence of the states and state-level political institutions on national political maneuvering and policy choices. In particular, she focuses on the influence of policy actors’ intergovernmental context on legislative choices. Her recent work addresses the impact of the interaction of state and national political institutions on political choices and policy outcomes. McCann received her PhD from the University of Michigan, where she received the Gerald R. Ford Fellowship (2010-2011) and the Rackham Pre-Doctoral Fellowship (2009-2010). She also earned the Ruth L. Kirschstein National Research Service Award (2008-2009; 2004-2005), and was named a National Science Foundation IDEAS IGERT fellow (2006-2008).